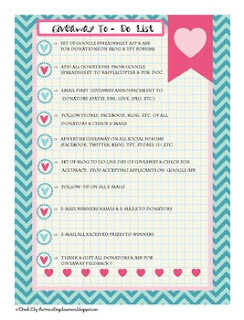 This Free To- Do List is from The Ultimate Giveaway Organizer and Planner!! Included you´ll find everything you see in the preview download! -3 cute blogger girl Cover pages to use for separate binders or comb bond notebooks and/or section dividers. Easy Peasy to get organized today! I hope you find these helpful. If you like these please rate them at my store for your TPT credit. Follow for your 50 Follower Freebie! Please feel free to e-mail with more suggestions to help you organize and make your giveaways easier! If you like this you may also like some of my other organization products.